80s are so back and I must admit I used to think of the 80s as an era of bad taste etc. Watching the Carrie Diaries and doing a little research I found out that things were not so tragic in all places! Fashion has actually been great during that decade, press wise. 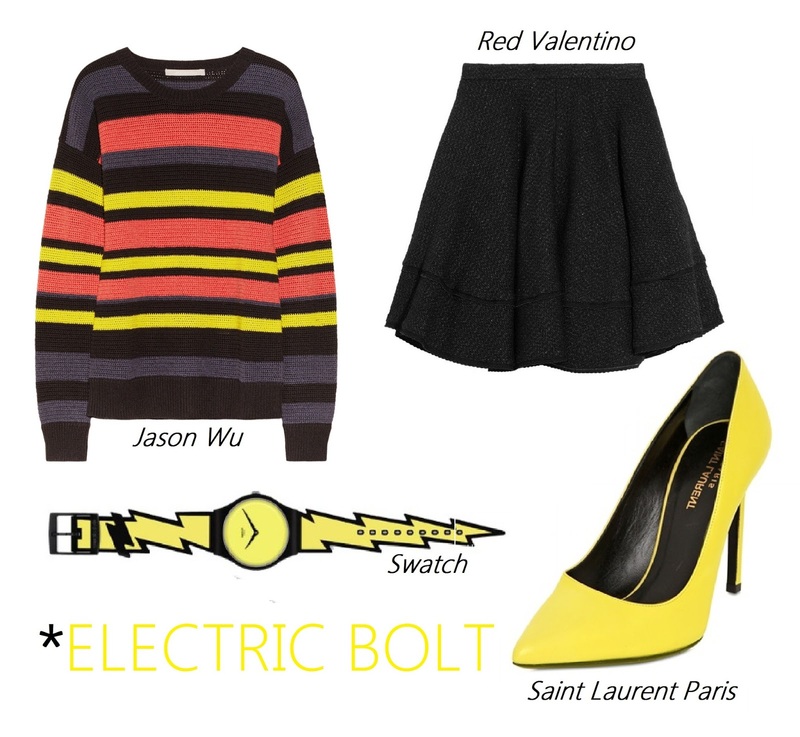 So, bold colors, funky sweaters, a pop Swatch, a skirt and Saint Laurent heels for the ultimate 80s revisited outfit to start your weekend in style, provogueative and gorgeous!